I have to say that I LOVE being on the homeschool review crew this year. 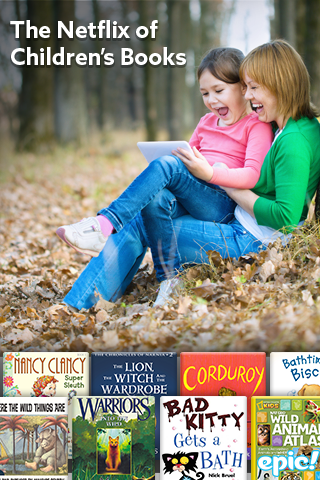 It is so fun to get a chance to check out so many different homeschool products for our family, and for all of you. With so many products to review, there are some that just stick out and say Yes, pick me, pick me. This next product, Drive Thru History® – “The Gospels” was one of those. I was so excited to get the chance to take a look at their new work of art, and it came at the perfect time, Lent. Now I get to share with you all what we thought of this series and how it could be a great help to your own family. Maybe you have never heard of Drive Thru History® before. I know I hadn’t until recently. Drive Thru History is a series of DVD works that literally have you driving through out the section of history each series is titled about. While you are along for the ride, the history of that time period is explained in ways you may have never heard of before, all because you get to see for yourself where history took place. This allows you, the audience, to almost touch history and experience it like never before. For this most recent work of art, Drive Thru History® – “The Gospels”, the idea is to take a drive through the holy lands of Israel, discovering who the most historically significant person to ever live was and is, all with your host Dave Stotts guiding you through the story. The story of who the man Jesus really was. This series is broken up into 18, half-hour long episodes. Each episode ends leaving you wanting more. Want to see for yourself? Check out the teaser reel below. So what do you get if you do want to purchase this series? You will get all 18 episodes on three disks, all neatly packaged in a case that could be fooled off as being a book from you library. You will also get a 117 page, full color study guide, arranged as the center of the DVD case. In the guide there are 5 discussion questions and suggested readings for each episode. The study guide could be used to turn this series into a small group study, as part of your own personal devotion time, as part of your homeschool bible course, or even just as conversation starters for your family as you watch the series. For our family, using the study guide as conversation starters is exactly what we did. We would sit down after dinner and watch the next episode as a family. When the episode was over either my husband or I would go around and ask the kids one of the questions from the study guide. If they did not know the question, we would move on to the next kid. If after going through each kid with an answer not being given my husband or I would pipe in with the answer. This would bring about some great conversation, and helped to review what they had learned in the latest episode. I have boys, so as you may know, they love competitions. The boys would get excited when it came to the question time. They wanted to see who could answer the most questions correctly. No fail, this happened every time. While some of the material covered in this series went right over the heads of my little kids, the sights they saw did not. I got to see a light sparkle in my youngest’s eyes as he saw the desert of Israel for the first time. After hearing for years about this historical place, reading about it in the Bible and deciding for himself to follow Jesus, none of that seemed as real to him as when he finally got the chance to SEE and experience this holy of places. The stories he had heard about for all these years came alive and became tangible. It wasn’t just a belief anymore, it was fact. As a parent, watching him come alive as he saw all these historical places was almost magical. If you are a Christian this series is a must watch. If you are a Christian this series is a must watch. If you are not a Christian, this series will help open your eyes to the reality of why we believe what we believe, and just maybe help you be able to take that leap of faith into this life of Christianity. Are you interested in what other reviewers have to say about this amazing series? Click the picture below to be brought to more reviews.